Once upon a time, there was a Hedgehog who wanted to go on a walk. 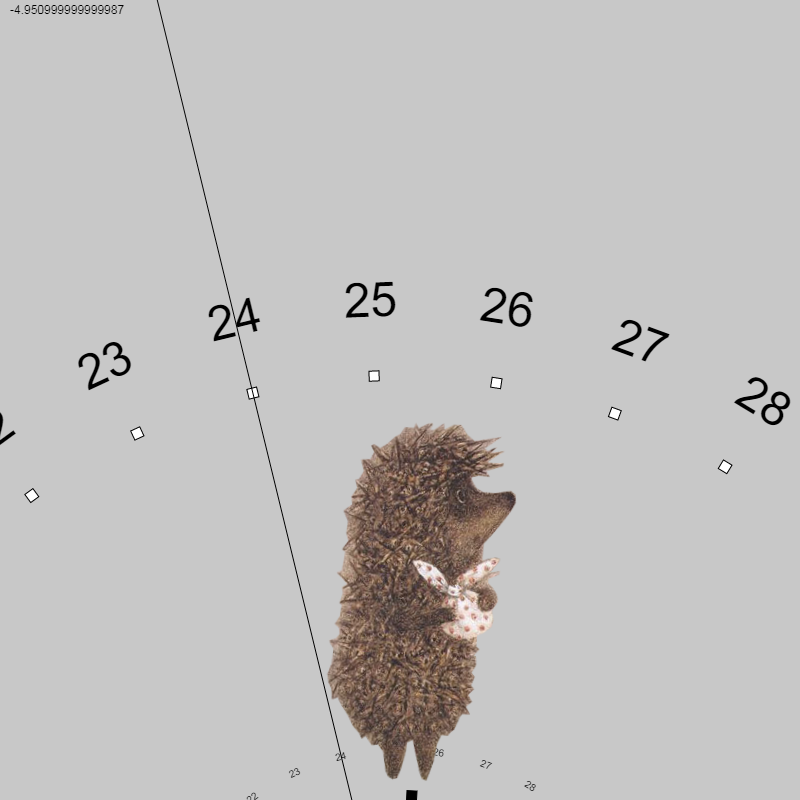 Why did the Hedgehog want to go on a walk? He didn’t really have a reason. It’s just what the Hedgehog wanted to do for as long as he could remember. And so, he set out to walk, perhaps to learn something, perhaps to find his perfect forest. The Hedgehog first walked through the forest he grew up in. The familiar trees were as beautiful as ever, but the Hedgehog kept walking anyway. 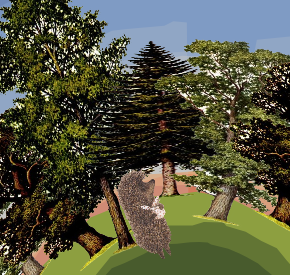 The old forest gave way to a new one, filled with trees the Hedgehog has never seen before. This forest seemed so big, and so amazing. But it was not quite what the Hedgehog hoped it would be. So the Hedgehog decided to keep walking. 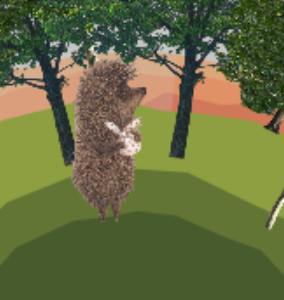 Soon, the Hedgehog found himself in a yet another forest. “The trees in this forest are similar to the trees back at home,” the Hedgehog thought. Would this be a good place for the Hedgehog to be? This is a small planet, filled only with places the Hedgehog is familiar with. 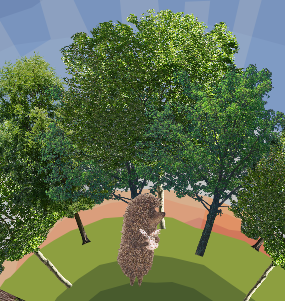 The Forest Planet is divided into three parts, each populated by beautiful trees from every forest the Hedgehog has seen. As the Hedgehog continues to walk in search of something, this small planet is there to keep all the memories of every forest he has seen. When the Hedgehog revisits one of those places on the Forest Planet, he recalls a familiar thought he had while he lived there, familiar sounds of each forest play, and out in the distance, the fog seems to form a mirage that makes the forest seem even closer to reality than it already is. While this project does not share a lot thematically with Richard Hamilton’s work, his collages were my main inspiration. I really enjoyed the way “Just what is it that makes today’s homes so different, so appealing?” blends together textures and cutouts of various objects and people to create a very coherent room. 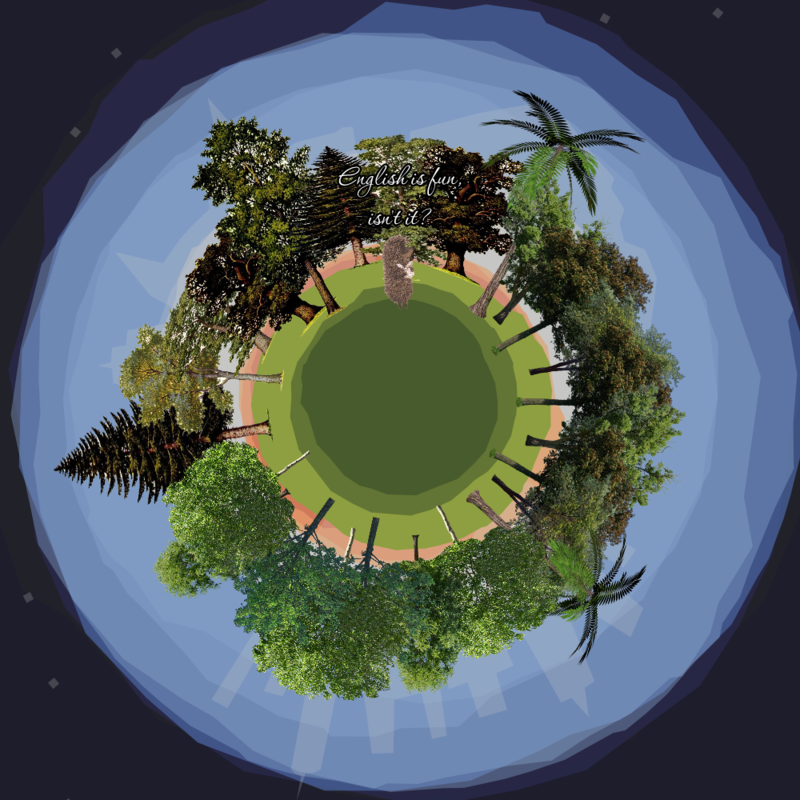 In my collage, I tried to achieve a similar effect by combining colored polygons that make up the world with various images to create the little planet. I really enjoyed creating the polygons that make up the planet and the sky. 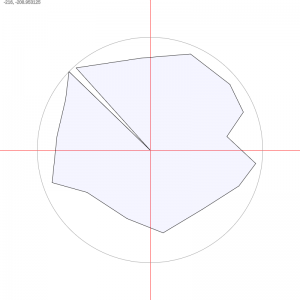 To make it easier to visualize the parts, I created a small tool that showed me the necessary x and y coordinates to make the shape fit what I have in mind. My favorite part, however, was creating the sky. I’m very pleased with how this effect turned out, and I hope I will be able to use it in the future. 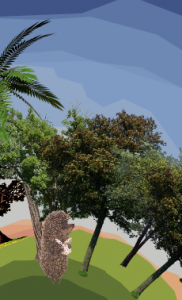 To create it, I found a picture of a landscape, and used actual colors from it. I made each polygon of the sky slightly transparent, so that color from the one behind it bled through. I also made each polygon “rough” to give the sky a bit of a handmade feeling, as if I cut out a bunch of pieces of colored paper to create the sky.